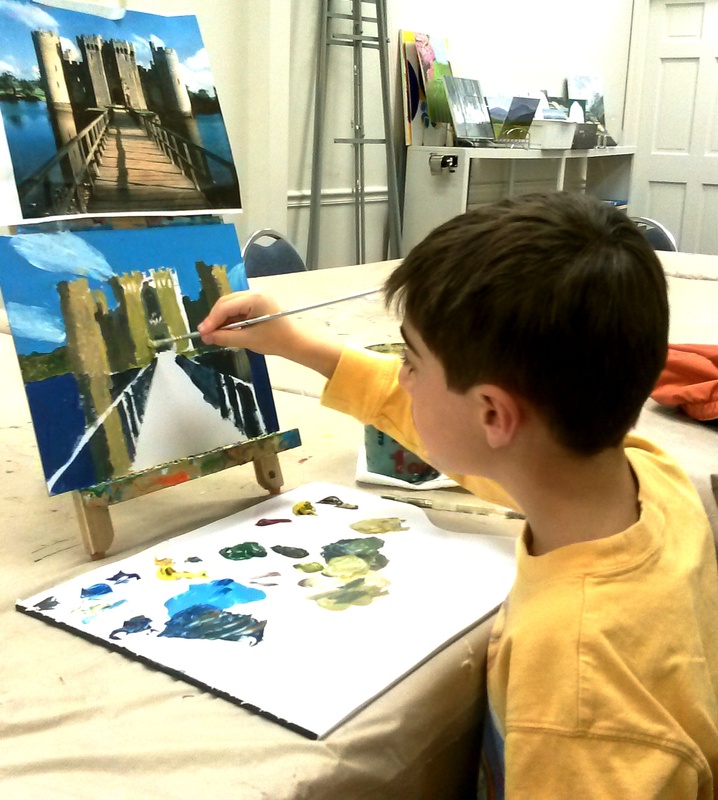 November | 2013 | "A Place for Learning"
As the gift giving season quickly approaches don’t forget that giving the gift of art is a great idea….and especially if you give a gift certificate for lessons or classes so that the recipient can learn to create their own art! 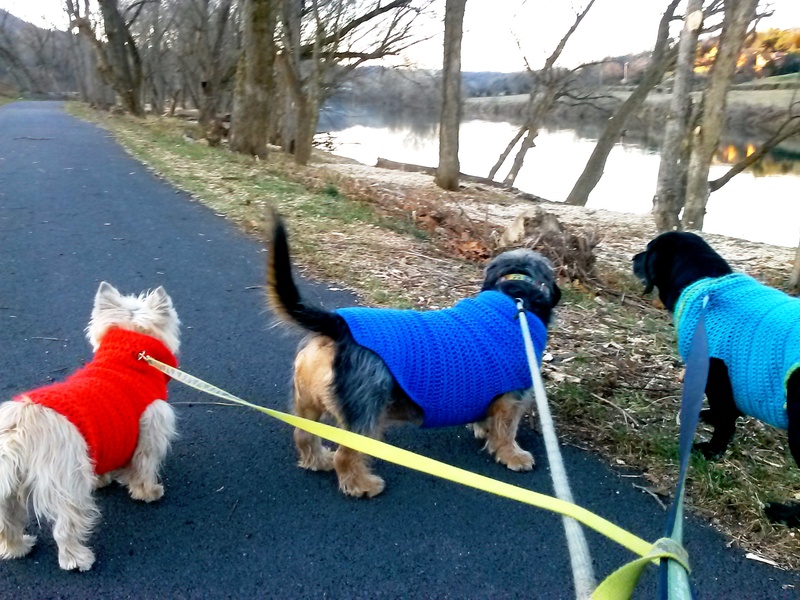 Just contact kwalker@doubledogdesigns.com to purchase a gift certificate. This week Jacob asked his mom to schedule an art lesson on Wednesday since we had no class scheduled this week for the holiday. He didn’t want to give up his art for the week so he had a private lesson. Then he asked if he could paint a castle! Of course he can! Great job Jacob. Happy Thanksgiving! We wish you and your family and friends a wonderful Thanksgiving Day. 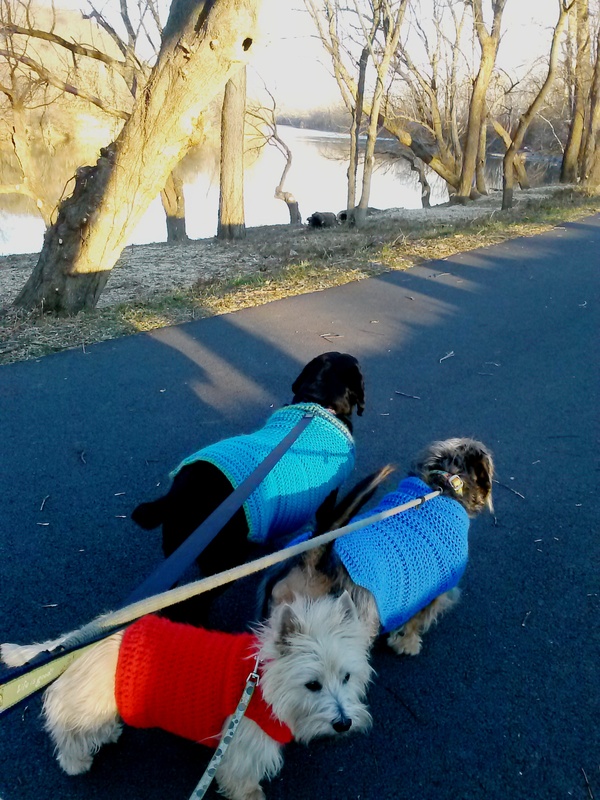 I am grateful for my little “family” and the beautiful place that we live. And we are grateful for the wonderful art lovers and collectors who follow our blog each day. I am working on a few small paintings for an upcoming show at Griffin Tavern on Sunday, December 8th from 1-4. There will be several artists there with affordable ideas for the gift giving season. Put it on your calendar and stop in for lunch or an afternoon drink and snack and check out what these artists have available. Hope to see you there. 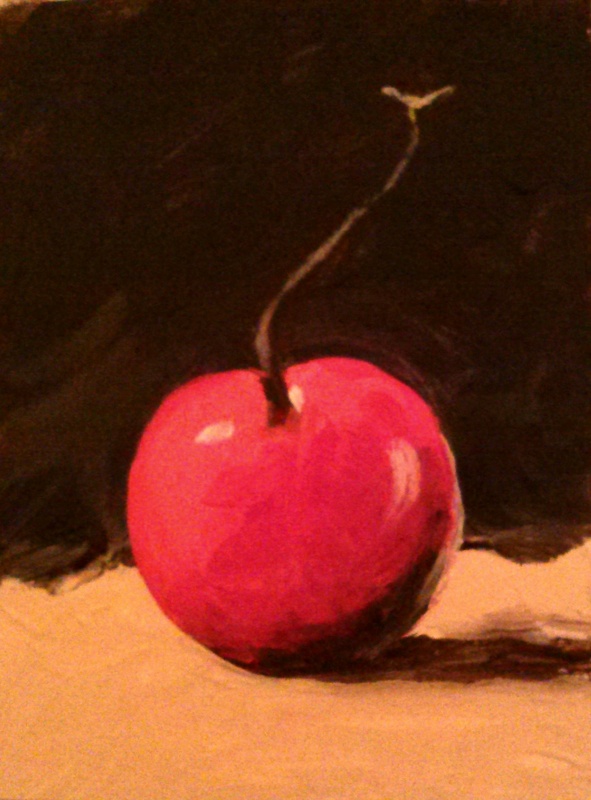 “A Little Cherry Miniature“, acrylic, 3″x4”, available framed for $49. As you know I love dogs. And I love it when my friends post photos of their dogs on their Facebook pages. A few months ago some friends from back home in Georgia got a new puppy that is just adorable and they posted terrific pics of her. 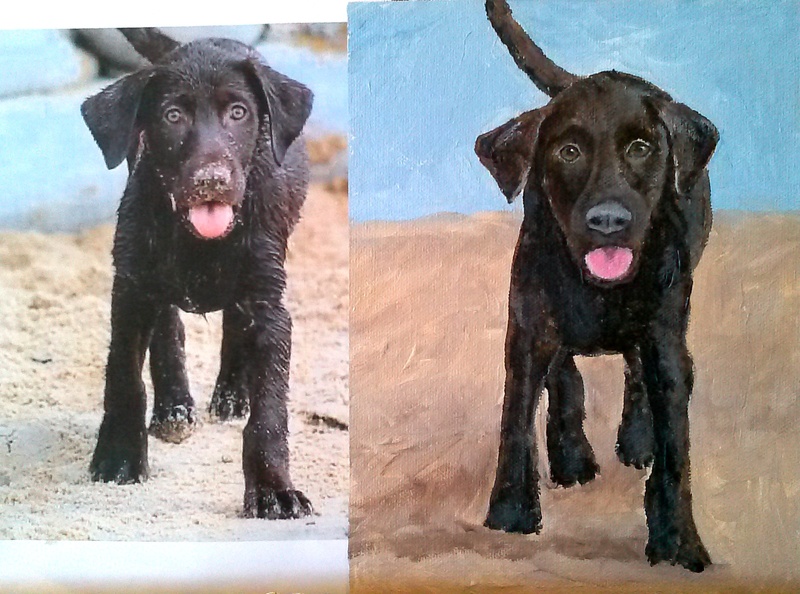 They were kind enough to give me permission to paint from their photos. This is Jace…a super cute lab pup that loves the beach. What a cutie. This painting is called Jace and is 8″x6″, acrylic on canvas and is available for $120 framed. 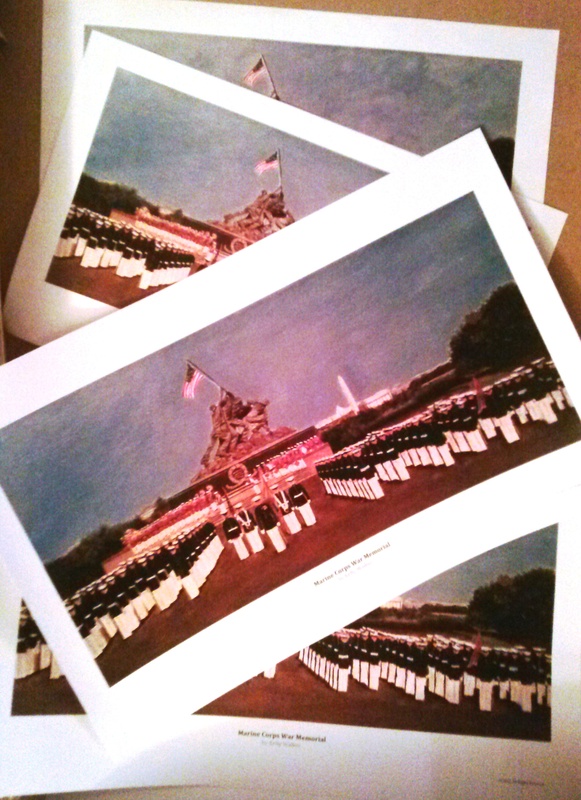 After getting several requests for a print of the Marine War Memorial that I painted last week I have had prints made. They are available now. You can click this Order Form with Marine War Mem to order one. The order form also has information for ordering any of the Painted Diamonds merchandise – prints, catalog and poster. Just feel free to contact me if you have any questions at kwalker@doubledogdesigns.com . Blue Ridge Mountain View miniature, oil on canvas 4″ x 12″ on gallery wrap canvas. This would make a great Christmas gift for anyone on your Christmas list. It is available for $ 95. SOLD! Contact kwalker@kellywalkerstudios.com . 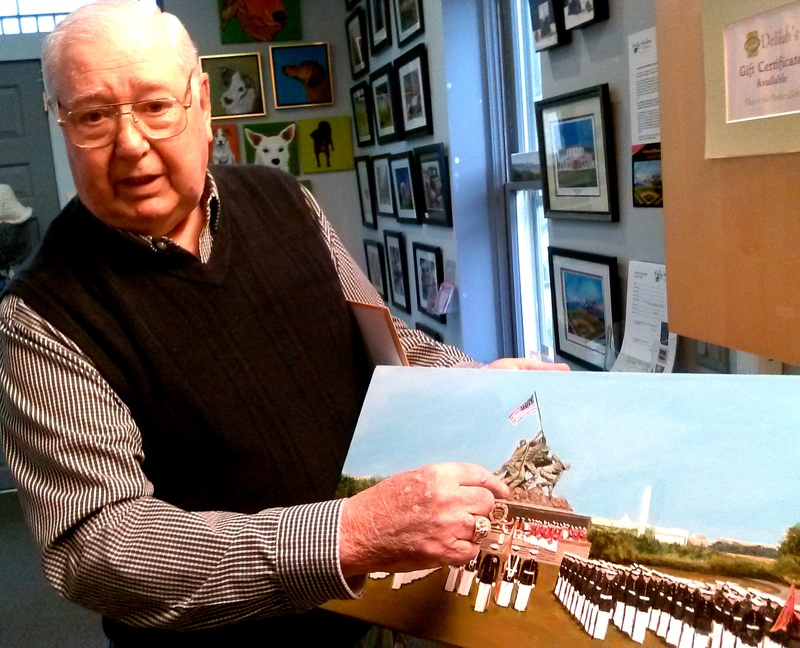 Yesterday Mr. Taylor came by to pick up the painting of the Marine Corps War Memorial that I have been working on the last week or so. He was very happy with it. (Whew!) 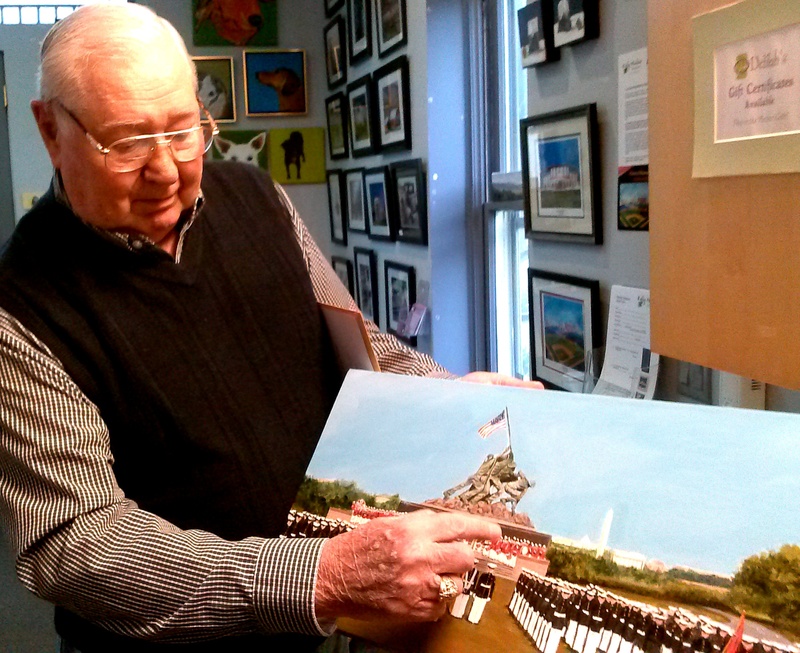 A friend and good customer (who was also a veteran) was in the shop at the time and so Mr. Taylor explained the significance of the painting to him. The photo was from around 1963 when he served in the drum corps. He is the first drummer on the second row in the painting. (He was pointing that out to us in this photo.) He described how they had these events every week throughout the summer months and for special occasions. And the two of them talked about Vietnam where they both served. It was so interesting to hear their stories. Thanks Mr. Taylor for the commission and for sharing some of your history with me.